Movement isn’t just exercising, it is rather a lifestyle of striving to hit various directions and movement patterns across different planes of motion. Trying to fit those into a program can be challenging but is a lot of fun to figure out and to do. Lately I have taken that challenge on and in my kettlebell training program have been adding in multi-directional components to my workouts and to my student’s training as well. We have been rotating, stepping, reaching and hitting a ton of other movement patterns, without neglecting strength, conditioning and other important factors, of course in less time spent training. This week’s workout is one of them and is basically a rotational workout with a kettlebell that is designed to challenge you and help you get to your fitness goals. This week’s workout is done by doing: 5 rotational cleans, 5 “curtsy” lunges and 5 pivot presses. Keep this going for as many quality rounds as possible in 10 to 20 minutes. Take a look at the video below to see it done and then do it yourself. After reading our last post on this subject, you have gained some insight into the why of our rotational program. If you haven’t read it yet, click here to do so now, because I will be referencing some of those points throughout this post. This week’s post will also be the beginning of a programming to train this movement, especially for mobility and stability work to help improve the technique of human rotation. As you are aware, the body operates in movement systems and have been imformed of the ones involved specificaly in rotation, commonly refered to as slings. The one thing that we didn’t cover las time, was that these patterns are connected by a substance called fascia. This is a web like substance that sits over our muscles and pulls them together throughout the body. 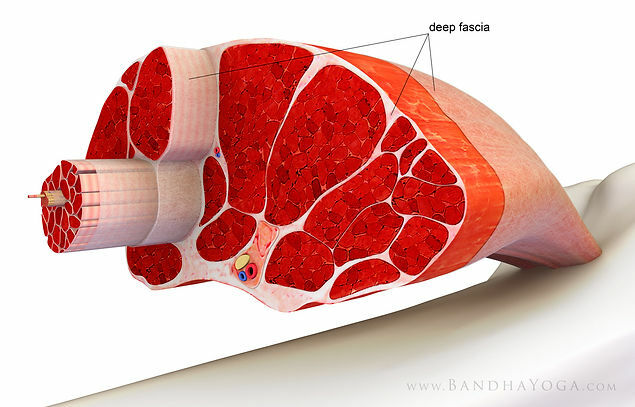 So in addition to specific muscles firing to accomplish a task, this fascial pulling also goes on as well. Now this is a great thing and helps our bodies transmit force as well as helping us to stabilize , as we do so and move in our sports or life. Yet, it can also limit our performance in the same way that it can help it; in the case of an individual muscle or muscle in a pattern being underactive. As a result of the weakness of one muscle, another along the movement chain can become tight and overactive as well as it leading to restrictions in a movement such as rotation in this case. In light of this fact, it would make sense that individuals with this issue would need to mobilize orrelease their tight muscles in this (or any) pattern and then follow it by strengthening the weak muscles that are causing the problem in the first place. So the first question that we need to deal with is what needs to be mobilized and what needs to be stabilized and or strengthened? First of all we cannot say with absolute certainty for every person without anevaluation/assessment like the one that we do here at Escape Medford that could identify the issues that the person may have and then a strategy on how to deal with them. But this post will endeavor to give you some general ideas to help you improve your rotation and then to pattern it with better technique. Use this drill below to help you begin to utilize your upper back to rotate better and to minimize your low back for this human movement pattern. 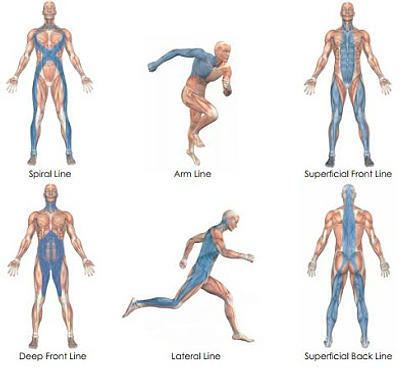 After developing the mobility and stability needed for the move of rotation, we can begin to pattern it while standing, helping the athlete get better at their sport, whether it be golf, baseball, or any other sport that involves a lot of rotation and or overhead work. Next week, we will continue this theme and teach you how to begin to use your new found mobility and stability to enhance your performance in your chosen sport and for your health. Research has exploded in the last few years and with the advent of the World Wide Web access to it has gotten much easier. Along with this enablement is the why behind what you are doing in addition to the how and when. One of these components to training for sport is the need for rotation to develop better, throwing, running and other needs to improve an athlete’s performance. You may be aware of this fact or if you have been training with us you probably have experienced our emphasis and instruction on the need for this quality. Or you may have never even heard of us and have never been into our center. Whether you are familiar with us or not, we want you to know the why behind what we teach. That is the goal of today’s post to help you become aware of the reason behind the method. Just as the book title says we want you to start with why! First we want to begin with the type of rotation that we are talking about and what it looks like. The type of rotation that we are talking about is driven from the floor and ends up translated through the arm or the implement that is utilized in an athlete’s chosen sport. We are however not referring to an isolated move wherein the trunk is the only thing that is moving. An example of this technique is shown in a proper golf swing, pitching, and a slap shot in hockey and so-on. After that last statement, you may be thinking, “so this is an important component to sports” and you would be very right if you are. So it would then in that case make sense to learn how to do it well for increased power and efficiency for sports performance. The next few paragraphs and correspodning posts will give you some answers and a few ways to develop this quality to make you a better athlete. Before we begin the next part let’s cover how to rotate and how not to accomplish this task.When we look at the body for performance and health, we need to realize that the body operates in movements and these movements are powered by systems or slings of muscles that function together to perform that move. In rotation we have both the anterior and posterior slings as seen below. In order to better utilize this sequence to throw, run and other sports activity requires that you utilize a particular technique. Not only will this create better power but will also better help prevent non-contact /overuse injuries as you play. The next two posts will continue to answer these questions and give you some ways to learn how to use this principle for sports performance and injury prevention. So keep tuned to this blog for that!